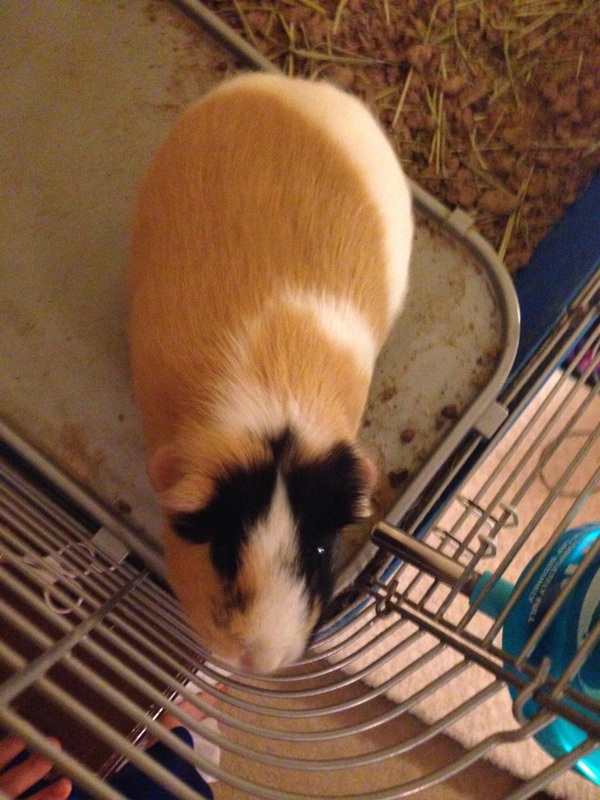 Meet our fat little guinea pig Caramel. In 2011 for my birthday Josh surprised me with two guinea pigs. We had one before but she passed away in 2010. I was SO excited to get two new guinea pigs. I then asked him where he bought them. Josh proceeded to tell me that they were from the pet store and he left one behind. My heart dropped and I said that we must go get that last lonely pig or she would die alone at the store. We rushed back to the store and bought that last lonely pig. Fast forward to 2015. That lonely little guinea pig that was left in the pet store is now the only remaining living guinea pig from that batch of birthday piggies. She is now approaching her 5th birthday towards the end of 2015. 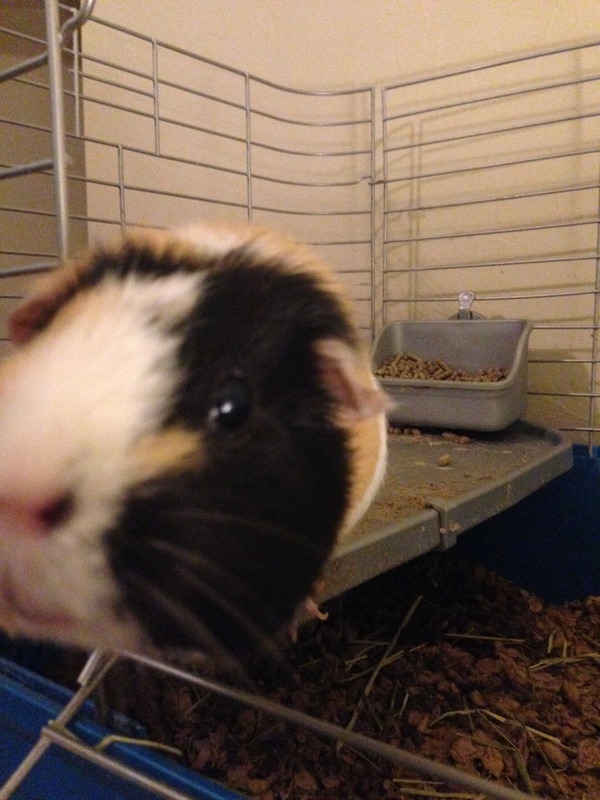 She is the happiest and fattest guinea pig you will ever meet. Caramel’s hobbies include running laps around her cage, singing at the top of her lungs the second the lights go out, and eating absolutely everything that will fit in her mouth. She chills in our bedroom high on top of a dresser. Amazingly enough, the cats and the dog have never really tried to bother her. They just stare at her with their adorable curious eyes trying to figure out what in the world that squeaky thing is up on the dresser.